We will rate our self 9 out of 10 for React native mobile app development. We developed several complex apps using ReactNative. Dedicated and experienced React Native developers. We partner with companies of all sizes - from one-person startups to enterprises like Pinterest, universities, and non-profits. Get a free quote now! React native is latest technology to build hybrid app. React Native, a real mobile app uses same code for deployment on iOS as well as on Android. Cuts by half the development effort and cost. Interesting enough to make the investment worth your while. Although most mobile app development companies prefer to build apps natively, more and more developers each day are using this framework to create their apps. Some of the biggest names in tech like Instagram, Facebook, Airbnb, Bloomberg, and Walmart have developed their mobile apps with React Native. Browse through this listing for top React Native app developers and navigate each profile while reading verified client reviews and checking the developer’s previous works and apps. 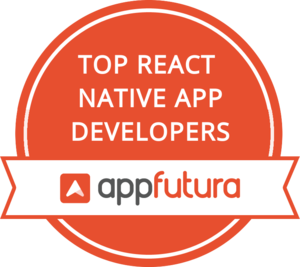 Right now, AppFutura has more than 80 app development companies that are comfortable using React Native to bring your app project to life. You can hire any React Native app developer from this list and work with them safely thanks to our implemented escrow system. Feel free to message any app development companies, call them or visit their website and send them a request for proposal. On the other hand, if you want to receive proposals from various app developers, you can create an app project and explore different possibilities.